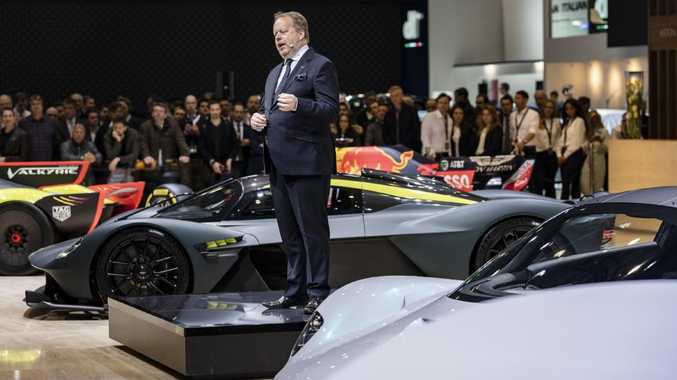 Aston Martin boss Andy Palmer at the 2019 Geneva Motor Show. Aston Martin boss Andy Palmer says a push for semi-autonomous driving systems is "reckless". Palmer says the brand won't follow Tesla, Audi and Mercedes down the path of "level three" autonomous driving features, which allow people to hand over control to the car in some circumstances but put the responsibility back on the driver if something goes wrong. 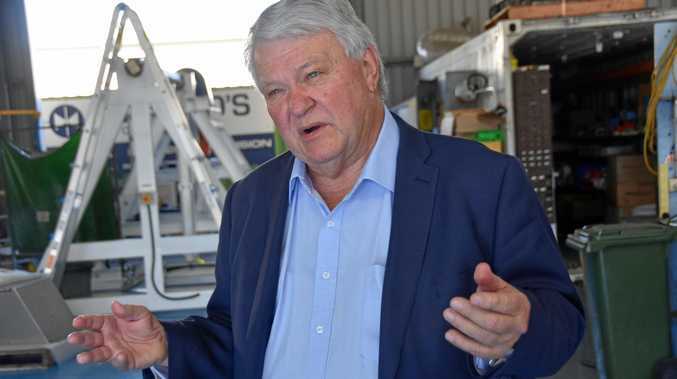 "The answer isn't allowing stuff like level three technology," Palmer says. 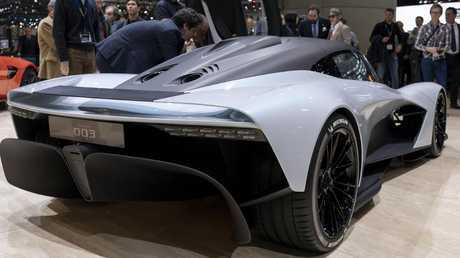 Aston Martin's AM-RB 003 supercar features an F1-like turbo V6 hybrid drivetrain. "In our mind, level three technology is reckless. It's reckless insofar as you allow the car to, in many circumstances, have the ability to drive you from A to B, but when it has a problem it instantaneously hands back responsibility to the driver." 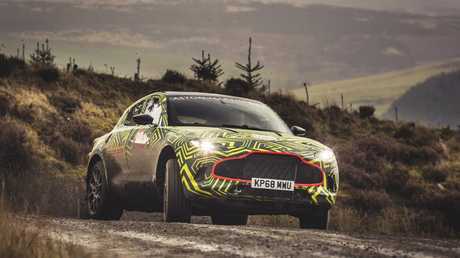 Aston Martin’s DBX arrives in 2020. "If you listen to some of the press, we're all going to be driving around in electric cars next year," Palmer says. "Call me a dinosaur - but I don't think I am because I invented the first electric car, the [Nissan] Leaf - it will be a balance, and it will evolve over now until 2040, and technology will find a natural position." 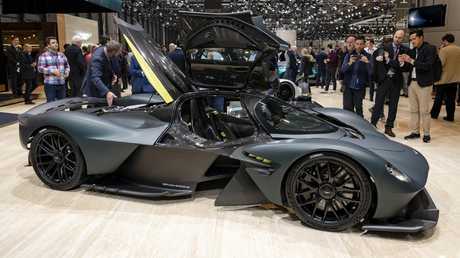 Palmer says the Aston Martin Valkyrie will be the ‘greatest car ever’. Aston Martin's range will be entirely hybridised in the near future. 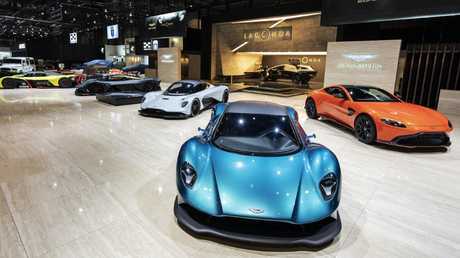 The marque’s growing sports car range will soon include the Vanquish (blue), Vantage (orange), AM-RB 003 (light grey), Valkyrie (charcoal) and Valkyrie AMR-Pro (yellow). 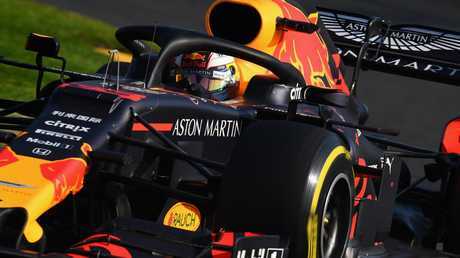 "By the time that car comes in 2022 we will have been doing Formula 1 for six years. "Valkyrie, the greatest car ever, basically legitimises that Formula 1 on the road, then the car that you lust after is the 003, that's your LaFerrari - very expensive, but more within reach, and the one you can probably afford to put in your drive is the Vanquish." All three cars represent mechanical departures from the brand's regular line-up, as does the DBX crossover, a high-riding alternative to the Porsche Cayenne and Bentley Bentayga.